Home News Why the iPad has been without WhatsApp for 7 years? Why the iPad has been without WhatsApp for 7 years? On this weekend we have begun to see light at the end of the tunnel. As we anticipate, it will be possible to install the WhatsApp application on our iPads , hopefully without using it with the web version so uncomfortable. Remember that we need to have the iPhone close and connected , nothing airplane, to make it work. The green application is terribly popular, in fact it is the most installed in the world and its degree of integration in any mobile platform in our country is brutal . So much so that the Royal Spanish Academy of the language has given instructions on how to correctly use the term "send a WhatsApp". Now, why has not there been an iPad app? Many may think that it would be necessary to have an iPad with a SIM card with the same number we have on the iPhone for it. Error, Telegram proves that this is not the case . This application, which is very complete, works both on personal computers of any OS and tablets without needing it. So why does this happen? The research we have carried out tracking the web has not produced conclusive results . It seems to be that simply the developer of the application has never raised it and has not materialized this possibility. We understand that doing it only for mobile phones thought it was enough. And this shows that the application, owned by Facebook, has always been behind Telegram . The autonomy that this application gives to be able to have it open in several devices at the same time and without the need of having the phone or turned on, is an advantage that allows to make use of its main characteristic, mobility. We ignore the reason of these 7 years of drought, the issue is that WhatsApp hit first and you know, who hits first hits twice. If we ignore a tweet published by WABetaInfo on Twitter, we see that there is some uncertainty about how this application for iPad will be. * I do not know * if the new iPad app will work like WhatsApp Web (so if it needs an Internet connection), or maybe they will use Facebook servers to do something else. Also something about WhatsApp Desktop seems to change in future. I do not know if the new iPad application will work like WhatsApp Web (if you need an Internet connection), or maybe you will use Facebook servers to do something else. Also something about WhatsApp Desktop seems to change in the future . 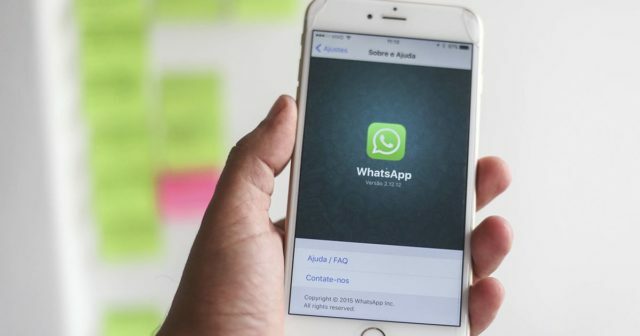 In other words, since WhatsApp is a company owned by Facebook, it uses its servers to work, so that it could even be integrated with the Messenger of this social network . Or if it will be like a desktop-type application, in which you log through a code, as is currently done in WhatsApp Web. However, every time there is less to discover what is cooking and check if WhatsApp is able to really surprise . How do you think the iPad application will be? Do you wait with desire?